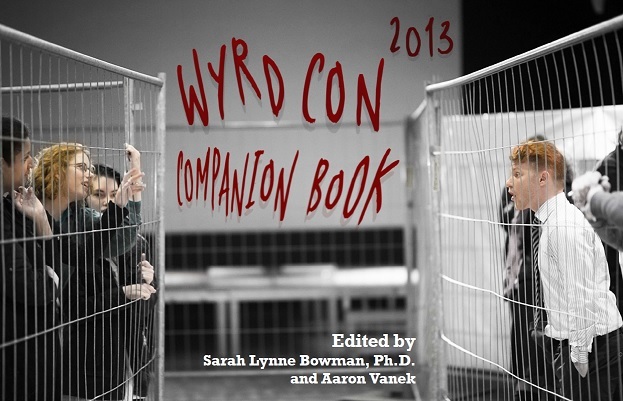 Cover of Wyrdcon Companion Book 2013. CC-by-NC-ND Wyrdcon. Fair use: used to illustrate article about book. current 20:07, 6 January 2015 623 × 401 (97 KB) IdiotSavant (Talk | contribs) Cover of Wyrdcon Companion Book 2013. CC-by-NC-ND Wyrdcon. Fair use: used to illustrate article about book. This page was last modified on 6 January 2015, at 20:07.